I don't know what Leela's view on the EU is, but I don't personally consider it to be a genuine continuation of SW. So as far as I'm concerned, there is no Jacen. I definitely see Han and Leia having a few kids -- and I see them naming a son Bail, not Anakin. 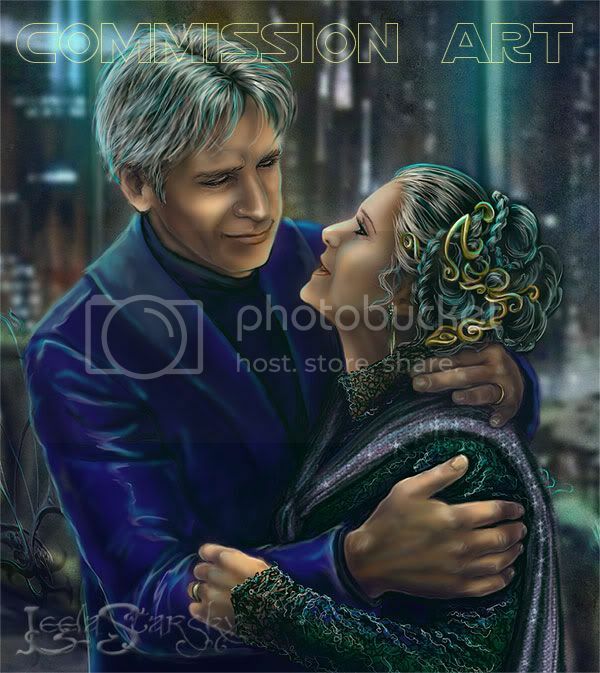 That never sat well with me; Bail raised Leia and was her father in every way that mattered. And I never liked the idea of them having twins, nor that all of their kids turning out to be SuperJedi. I would like to see at least one of their kids not be Force-sensitive. You know, that never set right with me either, naming their son Anakin, didn't make sense, especially since Leia still had a hard time with him being her father, and she truly loved Bail, he was her father. I just didn't get it. The twin thing i thought was okay, just cuz luke and leia had been twins, and that can happen in families also but I wish it could be done over and differently. You know, that never set right with me either, naming their son Anakin, didn't make sense, especially since Leia still had a hard time with him being her father, and she truly loved Bail, he was her father. Exactly. Why name a son after the biological father she never knew and who did all kinds of horrible things to her? Sure, she could forgive him (though I don't think the books ever expounded on that -- in fact, aside from a truly idiotic scene in "Truce at Bakura" where Anakin's ghost visited Leia, the books didn't deal with the issue at all), but even so, I think she'd remember the man who loved and raised her and want to honor him.